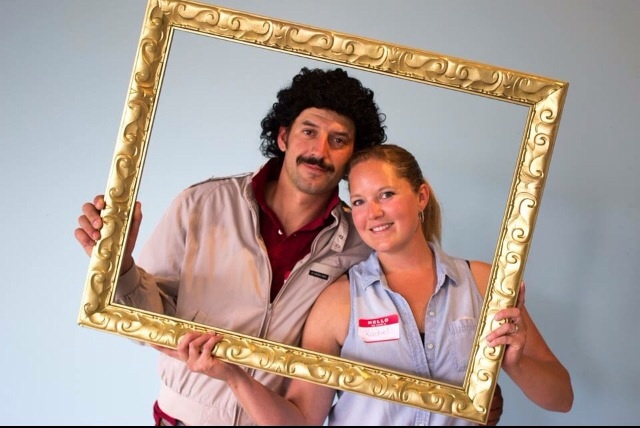 The Best FRIENDS-Themed Party Ever: Inside Ashlyn’s FRIENDS/Central Perk Graduation Party | mrs. and the misc. 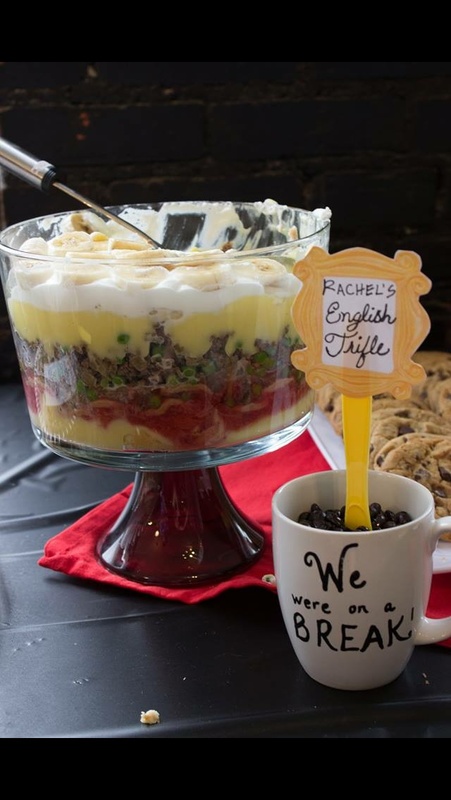 I possibly threw the very first FRIENDS TV Show themed bridal shower, and was one of just three people ever to blog about a FRIENDS-themed party (I did the research). So, when I planned the FRIENDS shower for my best friend back in 2013, my fellow hostess Cristina, Susanna and Kristin were basically on our own for inspiration (they had great ideas!) and we also used this one post for inspo. My invitation in the center of this cool wall display at a party one of my Etsy customers threw! It turned out to be just the cutest little shower. BuzzFeed even featured it! 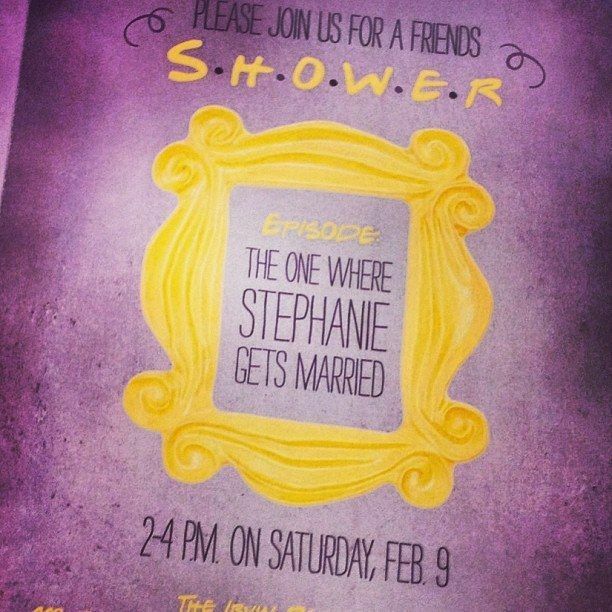 I asked my friend to create an invitation using the episode concept and the phrase “The One Where Stephanie Gets Married” and play with the FRIENDS font and yellow frame! It turned out cute, and became the jumping off point for my own version later (once I finally bought the software to start creating all the ideas floating around in my head). 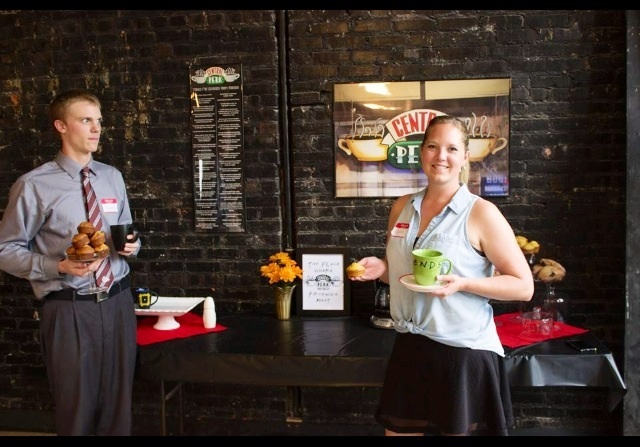 Our guests enjoyed a Central Perk-style treats station with assorted coffee mugs, hot drink offerings like coffee, tea and cocoa, and coffee shop-style baked goods. Since blogging about it, we’ve gotten a ton of traffic and ultimately I decided to create a slew of matching printables (shower games and thank you cards, cupcake toppers, etc.) to help people looking to plan a similar birthday party or bridal shower! They’ve all been well-received on Etsy! And one customer in particular took the idea to a whole new level and I just had to share her FRIENDS-themed party with y’all! It is just TOO GOOD!!! Ashlyn’s mom contacted me via Etsy about my FRIENDS design and wanted to customize it for her daughter’s high school graduation party. 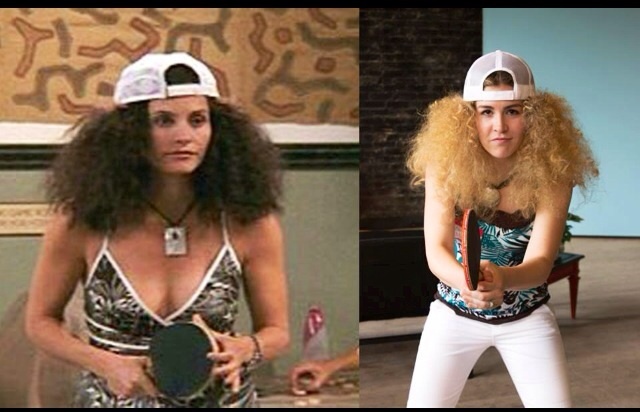 Fun fact: Watching FRIENDS is the “cool” thing for teens right now. Who knew!? 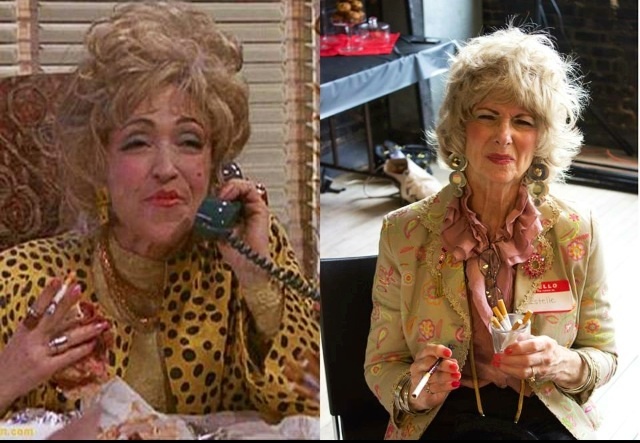 She went all out for the party – she rented a New York-style loft, printed out art similar to what hung in Monica’s apartment (and laid out the party lounge to mirror the apartment living room! ), served Rachel’s infamous trifle (legitimately re-created the incorrect recipe! 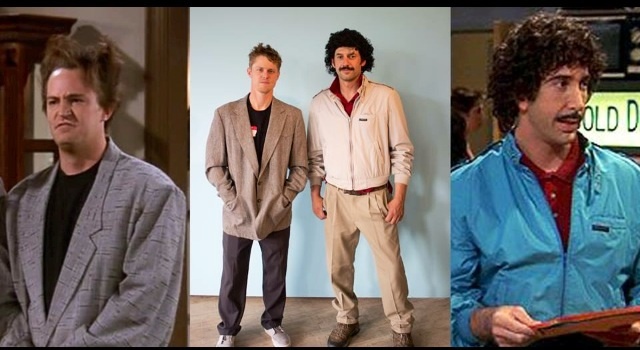 haha) and, best yet, had the guests come dressed as their favorite FRIENDS character! Take her ideas and run with them—such a fabulous, well-thrown themed event. And you know I love a well-used theme! Until next time…. enjoy these pics from her party! GUNTHER & WAITRESS RACHEL … CHECK OUT THE CAFE IN THE BACKGROUND! 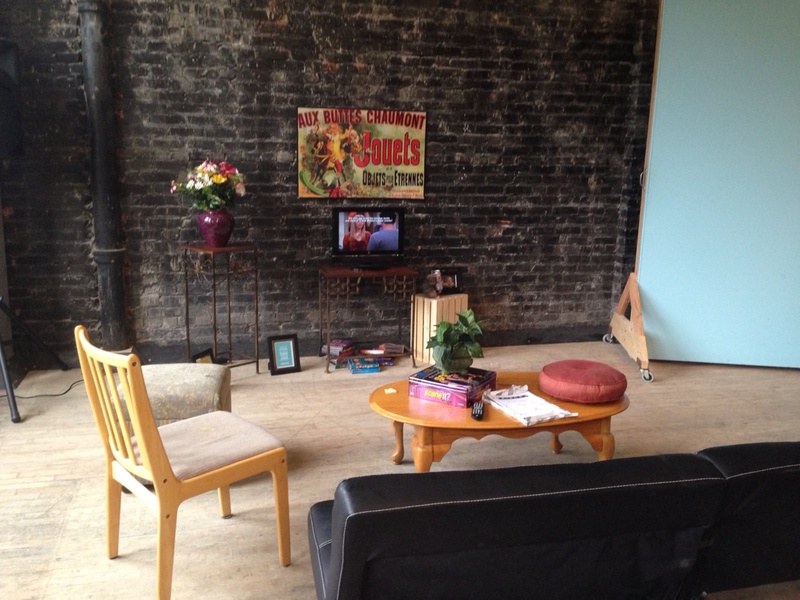 with the menu, tables and Central Perk in the window!!! Even table menus and flowers … Ashlyn’s mom killed it with all these great details!!!! 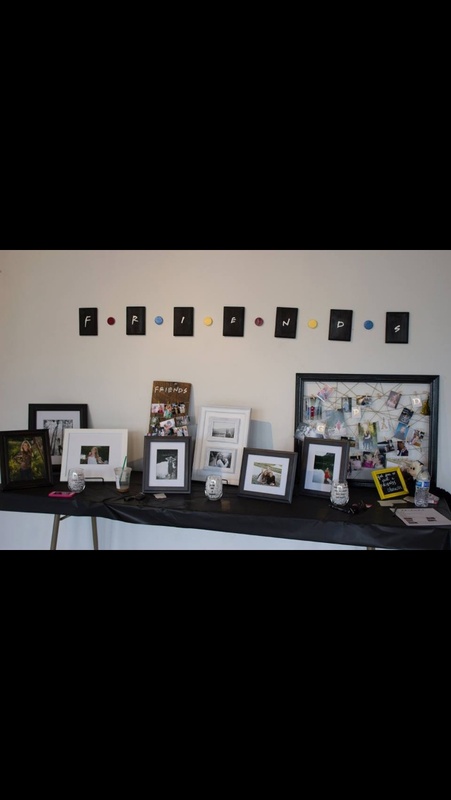 PHOTOS OF THE GUEST OF HONOR WITH ALL HER FRIENDS FROM HIGH SCHOOL – what a great way to tie in FRIENDS for her graduation party! 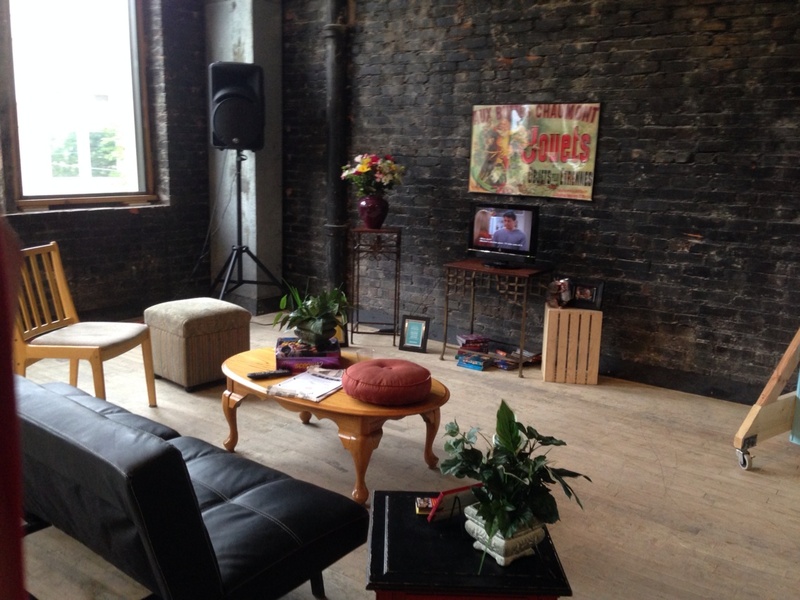 Of course, FRIENDS had to be on in the background of the party! Too cool! 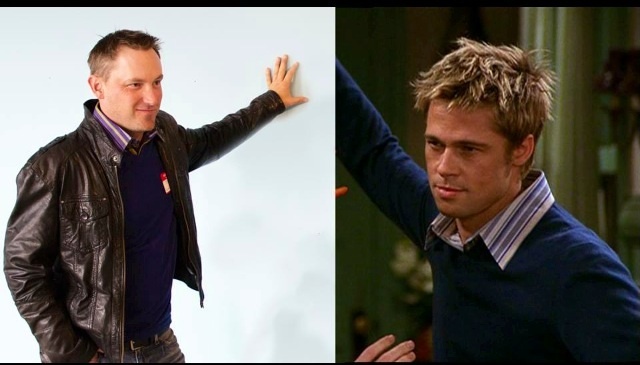 GUEST STAR BRAD PIT’S CHARACTER … Remember he was married to Jennifer A. at the time and his guest starring role was a guy who hated Rachel. What a CREATIVE choice by this guest! 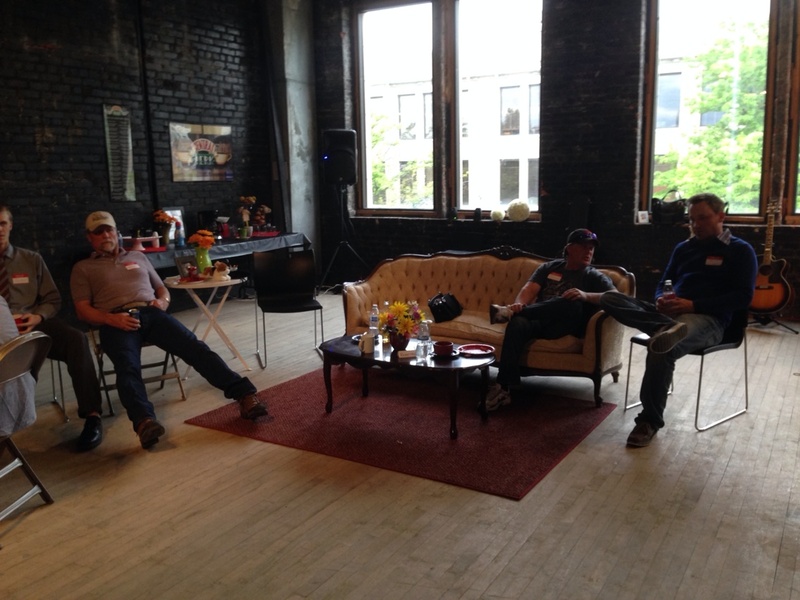 I love seeing how my customers’ events turn out; so inspired by their ideas! If you bought an etsy item from me, please be sure to share pictures after or tag @littlepebblepaper on Instagram and Facebook!